Acknowledgement: This work has been summarized using the 1999 Walker Publishing edition. Quotations are for the most part taken from that work, as are paraphrases of its commentary. Bracketed items are in part taken from the Encyclopedia Brittanica. Overall Impression: A reasonable work and interesting for trying to convey the life and times of Galileo's daughter as well as the life of the great man himself. Galileo Galilei was born in Pisa Italy in the same year as Shakespeare, 1564, of father Vincenzio Galilei and Giulia Ammannati Galilei. 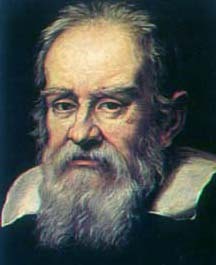 He was descended from the physician Galileo Buonaiuti, after whom the family had taken the name Galilei. GG had sister Virginia Galilei Landucci and brother Michelangelo. His first son Vincenzio (1606-1669) was born out of wedlock to his longstanding mistress Marina Gamba of Venice and eventually legitimized. She also bore him daughters Virginia (b. 13 Aug. 1600, d. 2 April 1634, became Suor Maria Celeste) and Livia (1601-1659, became Suor Arcangela). The difference in social positions between the poor but patrician Galilei family and Marina in part explained why he never married Marina, and Maria's illegitimacy forced her to be placed in the convent of San Matteo in Arcetri at the age of 13. His letters to her do not survive, though many from her to him do. GG's father was a musician interested in the revival of classical Greek musical forms. GG attended U Pisa 1581-5 without earning a degree and secured a teaching post there 1589. He took responsibility for his extended family when his father died 1591. He took a chair in math at U Padua 1592, where he met Marina. He invented a calculating compass, described in "Geometric and Military Compass of GG, Florentine Patrician and Teacher of Mathematics in the University of Padua". He tutored the future leader of the ruling Florentine Medici family, who acceded as Grand Duke Cosimo II as of 1609. He also developed a rudimentary thermometer and began to study falling bodies. GG worked on the spyglass or telescope invented by Hans Lippershey in Holland, grinding his own lenses and thereby greatly improving its initially primitive design. He was the first to use the telescope extensively for astronomical purposes and observed the mountains of the moon and in 1610 the 4 [Galilean] moons of Jupiter. He described these findings in "Sidereus Nuncius" (The Starry Messenger, 1610), calling the moons wandering or Medicean stars (Sidera Medicea). In this book he described the true nature of the Via Lactea (Milky Way), sunspots, and the rotation of the sun. He was appointed as chief mathematician of the U Pisa and Philosopher and Mathematician to the Grand Duke, moving to Florence in Tuscany to assume these duties in 1610. Soon after, Marina married Giovanni Bartoluzzi and GG assisted her with her wedding expenses. GG focused on building telescopes so that others could confirm his findings. He visited Rome and his conclusions were endorsed by the influential Collegio Romano. He joined the forward-looking Lyncean Academy founded by Prince Federico Cesi and met Pope Paul V as well as Maffeo Cardinal Barberini, the future Pope Urban VIII. He studied buoyancy and wrote "Discourse on Bodies That Stay Atop Water or Move Within It" in Italian, refuting the old beliefs of Aristotle, and beginning to offend his developing enemies with his brashness. In 1543, the Polish clerk and astronomer Nicolaus Copernicus had written "On the Revolutions of the Heavenly Spheres" (De revolutionibus orbium coelestium), in which he hypothesized the rotation of the Earth about the sun, and GG became convinced of the truth of this view. A nova (or in today's terminology a supernova) was witnessed in 1604, challenging the view of the heavens as unchangeable, and the moons of Jupiter proved that satellites could orbit bodies other than the . GG wrote a number of letters about sunspots (published as "History and Demonstrations Concerning Sunspots and Their Phenomena" in 1613 in Rome). The observation of the phases of Venus suggested that at least it rotated about the sun, and the presence of sunspots suggested the imperfection of the sun. They seemed like clouds to him but nevertheless appeared intrinsic to the sun. GG began to be blamed for the idea of a heliocentric universe. In 1613, with controversies about his views developing, he was relieved to learn he had successfully gained admission of his daughters to the convent. His former student Benedetto Castelli took his old chair at Pisa, and came under questioning about GG's views by the influential grand duchess Madama Christina, who found these views disturbing: they seemed to contradict the Bible's views about the fixedness of the Earth. E.g., Psalm 103 states "Thou fixed the Earth on its foundation . . ." and the Book of Joshua describes where the Sun is ordered to stand still. GG wrote to Castelli a letter in 1613 trying to lay out his views, claiming to see no conflict with religion, discussing the Ptolemaic vs. the new Copernican views and arguing that God had given us wisdom and intellects to explore the heavens, that the other planets are not mentioned in the Bible, etc. His letter was denounced a priest. GG wrote the "Letter to Duchess Christina" 1615 (publ. 1636), defending the heliocentric view, arguing for its antiquity (e.g., Pythagoras, Plato, & Aristarchus of Samos). GG decided he needed to travel to Rome to defend his views. The church was in a defensive posture as a result of the Protestant reformation, and had promulgated the reactionary Counter-reformation as epitomized in the decrees of the Council of Trent 1545-63 and subsequent papal bulls. These forbade the interpretation of Scripture contrary to the commonly agreed upon interpretations of the Holy Fathers, including that the Bible stated the Sun moved about the Earth (the geocentric view). GG argued 1616 in "Treatise on the Tides" (incorrectly) that the phenomenon of the tides supported the motion of the Earth. He rejected the idea that the moon exerted an influence on the Earth, thinking it smacked of occultism (ignorant as he was of the concept of gravity). Tycho Brahe had postulated an alternative interpretation to pure heliocentrism, namely that the 5 known planets (Mercury, Mars, Venus, Jupiter, & Saturn) revolved around the sun but that the sun in turn revolved around the Earth. In 1616, cardinals appointed by Pope Paul initially declared the writings of Copernicus to be formally heretical (a conclusion later softened), and Lord Cardinal Roberto Bellarmino, who was asked by the Pope to review GG's treatise on tides, admonished him to abandon defending his opinion on the Earth's motion as fact. The Congregation of the Index (which had been founded in 1559) placed Copernicus' book on suspension until its errors were corrected. GG asked Bellarmino for a document verifying that his own works were not heretical and that GG had not abjured from or been censured for his opinions, and he received this in writing. At about this time, Virginia became Suor Maria Celeste. GG had a variety of illnesses throughout his life, relapsing fever, chest and eye pains, arthritis, fatigue, etc. He often retreated to his friend Filippo Salviati's Villa delle Selve. He took a villa called Bellosguardo, located near Arcetri where his daughters lived. Kepler published his 3rd law of planetary motion in 1619 [namely, The squares of the sidereal periods of revolution of the planets are directly proportional to the cubes of their mean distances from the Sun.] These 3 empirical laws were the basis on which Newton deduced the law of inverse square gravitational attraction described in the Principia 1687. Marina Gamba died 1619. GG sought via Grand Duke Cosimo II to have his son legitimized, and succeeded in 1619. Cosimo died and Ferdinando II became grand duke of Tuscany. Pope Gregory XV succeeded Paul, then in 1623 Maffeo Cardinal Barberini succeeded him as Pope Urban VIII. GG had great hopes for this forward thinking Pope, literate, youthful, almost militaristic in style. His son Vincenzio obtained a law degree and a pension as canon (which he later rejected to GG's embarrassment). Maria's letters in the book begin about this time--she is 23 (no letters survive from the other daughter, who was mentally unbalanced). She describes her cloistered life as a Poor Clare nun, living under a vow of poverty. Their order derived from a follower of St. Francis of Assisi, Chiara Offreduccio or Clare, and they were known as Clarisses or Poor Clares. They remained poor and depended on alms, often going hungry. Maria often complained about the incompetent and corrupt Brothers who came to the convent. GG always responded to Maria's appeals for assistance and donations. Only later did she win private quarters of her own. Meanwhile, Vincenzio was squandering money. Urban's adviser Cesarini read "The Assayer" to him 1623, and Urban admired it and asked to meet with GG. Urban thought it expressed his own philosophy of science. GG's book was acclaimed in Rome. GG was sick that summer, and Maria provided remedies for him. In 1624, GG at last traveled to Rome to meet with Urban, stopping first to visit with Prince Cesi. The meeting with his old friend Urban was favorable and he approved of GG using the Copernican system as an unproved hypothesis that made calculations simpler. GG felt he had been given approval to proceed with further publications. He prepared his "Reply to Ingoli" (1624) countering Monsignor Francesco Ingoli and in defense of Copernicus, and seeing that it seemed to cause no great furor, he prepared to begin a longer treatise on the subject. He began to work on his "Dialogue on the Tides", which took 6 years to write. It is a dialog written in Italian between 3 men, Salviati (like GG), Sagredo (an intelligent man), and Simplicio (a pompous Aristotelian who apparently espouses Catholic views). It discusses Aristotle's views of celestial bodies, etc. But GG was interrupted in his writings when he learned of developing opposition to him and "The Assayer". He set it aside and began instead to work on a water pump and studied river flow, refraction of light, acceleration of bodies, etc. GG concluded that the intuitively apparent fixedness of the Earth can only be refuted by astronomical observations, not with experiments with ordinary objects on the Earth. The 30 Year's War 1618 - 1648 raged on, with religious bloodshed in Germany over control of the Holy Roman Empire, etc. GG had a tenure battle with the U of Pisa. Vincenzio married favorably to Sestilia Bocchineri 1629. Castelli observed a large sunspot that rotated out of sight and reappeared on the opposite side, and described his imminent publication of this finding to GG 1629. This further supported the Copernican view, and GG made plans to include these observations in his own Dialogue. He predicted the means of measuring the distance to stars using the annual stellar parallax (finally achieved 1838 by Friedrich Bessel). He discussed in his writings his most compelling arguments for the Copernican view: (1) the apparent stoppings and retrograde motions of the planets and their apparent approaching and recessions from the Earth, (2) the rotation of the sun, and (3) the tides. GG continued to grow closer to Maria, who engaged her father intellectually with greater confidence. He worked to improved her living conditions, repaired the convent clock, etc. GG was made canon of Brescia and of Pisa. He completed his Dialogue December 1629. In 1630, he arrived in Rome and stayed with Tuscan Ambassador Francesco Niccolini and wife Caterina (he was to be a constant defender in the years to come). Niccolini feared GG had a tough road ahead because of his growing enemies. Urban saw him only once, being enmeshed in the 30 years War and politics. Plague had broken out 1629. Urban had been prophesied an early death. Preventive measures were instituted which restricted travel. Urban began the Baldacchino designed by Bernini for the Vatican basilica, and was spending grandly to improve the grandeur of the Vatican. Cesi died 1630, and the Lyncean Academy dissolved. The nuns at San Matteo were cold and hungry. Maria continued to prepare healing elixirs etc. for her father. GG decided to move to Arcetri in 1631, renting the house "Il Gioiello" (the jewel) which was within view of the convent. GG experienced considerable bureaucracy and delays in getting the Dialogue published. Father Riccardi asked for minimal revisions. It was finally published Feb. 1632 as "Dialogue of Galileo Galilei, Lyncean, . . . , Where, in the meetings of four days, there is discussion concerning the two Chief Systems of the World, Ptolemaic, and Copernican, Propounding inconclusively the philosophical and physical reasons as much for one side as for the other." The young Evangelista Torricelli wrote him to say he was converted. Father Christopher Scheiner reacted violently to the book. Soon it provoked Urban's ire--he was under political attack. He did not read it, but was told it was an insult to him as a glorification of Copernicus. He believed GG had played him for a fool by allowing Simplicio to espouse Urban's philosophy, and convened a commission to assess the book. The Florence inquisitor received the order not to allow further publication. GG appealed to Francesco Cardinal Barberini (a nephew of Urban whom GG had guided through doctoral studies). GG traveled to Rome 1633. After much delay, he was interrogated by the Holy Office of the Inquisition. A document was produced allegedly dating from 1615 in which GG had been officially warned not to discuss Copernicus [modern historians believe this may have been planted]. It now appeared he had intentionally duped the trusting pope by not mentioning this past order and in fact flouting the ruling. GG turned 69. He was questioned 12 April 1633 by 2 officials and a secretary. In the transcript, GG deceitfully claims that he was not defending Copernican views but in fact refuting them. GG tried in vain to keep from having his work banned. He returned to make a defense May 1633. The plague flourishes. Urban insisted GG be interrogated, if necessary with torture, to determine his intent in writing his Dialogue. This began June 21, at which time GG insisted on his belief in Ptolemaic doctrine. In June, he was convicted of heinous crimes and heresy, forced to abjure, and condemned to imprisonment. It is a legend that GG said under his breath "Eppur si muove". The Dialogue was placed on the Index 1634, where it stayed until 1822. In Protestant countries, his book became widely read, however. Initially, one of GG's supporters and adherents, the Archbishop Piccolomini of Siena took GG in under benevolent and indulgent house arrest, wherein he could not leave the grounds. GG arranged in part through Maria to have certain potentially incriminating documents destroyed. GG solves a problem related to buoyancy having to do with casting a bell. He begins a treatise called "Two New Sciences" on projectile motion, acceleration [s=(1/2)at^2], and swinging of pendulums. Ballistic motion, he discovered, consists of a uniform horizontal velocity component and a variable vertical velocity, leading to a parabolic trajectory. It is again in the form of a dialog among 3 men. It discusses strength of materials and how larger animals need disproportionately larger bones. GG emphasizes the need for practical experimentation. At last GG was granted permission to move back to his home in Arcetri in late 1633 where he would remain under house arrest and severe isolation for the rest of his life. Maria's health was failing, she lost many teeth, developed dysentery, and died March 1634. GG was overwhelmed with grief. He is forced to recite penitential psalms. Inwardly, he was convinced he had committed no crime. He was intellectually isolated, but supporters including Descartes, Mersenne, and Fermat defended him outside Italy. An international effort to get his new book "Two New Sciences" published resulted in its publication by the Dutch publisher Louis Elzevir in 1638. He added his latest observations on the librations of the moon. Soon after he went blind. He was aided by his assistant and amanuensis Vincenzio Viviani. He wrote his letters for him, helped him with his writing, wrote a hagiographic biography, etc. Benedetto Castelli also came to study under him, as did Toricelli. He died 8 January 1642. Viviani tried to establish a proper mausoleum for him, not achieved until 1737 at Santa Croce, at which time it was found that his body had been interred with his daughter's. No mention had been made of this at the original tomb, nor was a marker placed in 1737.